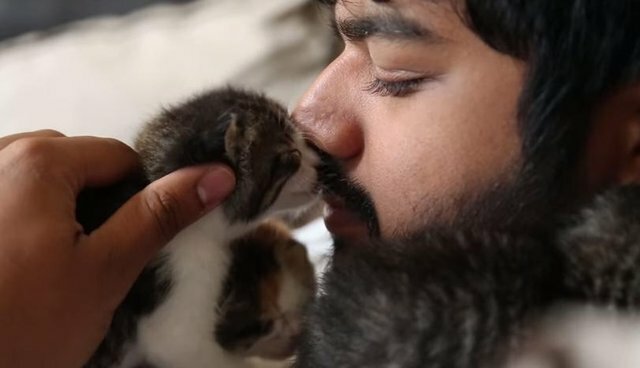 During kitten season, shelters across the country are flooded with the neediest cases - newborns who need round-the-clock care before they can be adopted. These five tiny kittens were brought to the Santa Fe Animal Shelter in April. 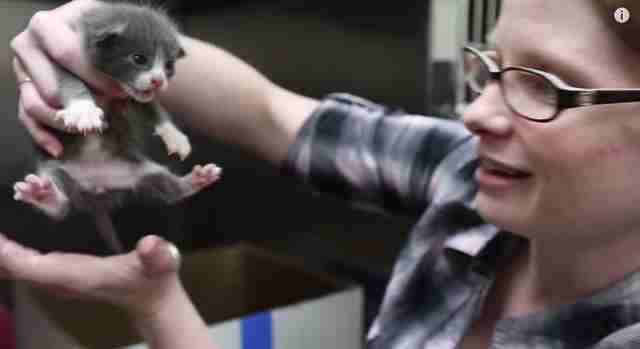 "If you get a call for bottle feeders, you drop everything you're doing and focus on them," Chelsea Gregg, a foster coordinator at the shelter, explained in a video about the kittens' story. "They need to go out to foster within a few hours of being here," Gregg explained. She began emailing and calling anyone who might be able to help the five little kittens find a caring foster home. Finally she reached Peter, an experienced fosterer with the Santa Fe Animal Shelter. He was willing to take the kittens, and all the midnight feedings that went along with them. "I started fostering to one, help out the animals, and secondly, I just like puppies and kittens," he explained, laughing. "When I first got the kittens they were about 2 weeks old. The first few weeks they had to be bottle-fed every two to three hours." 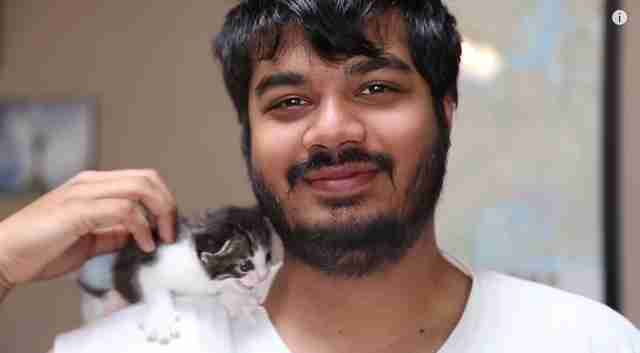 As with many foster programs, the shelter gave Peter the formula and supplies he needed to care for the kittens ... but it was his devotion and care that really helped them thrive. 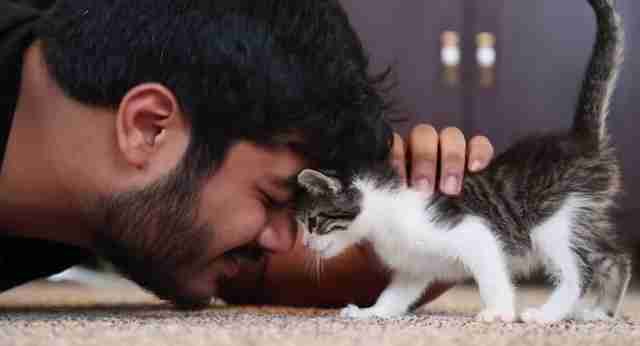 Peter quickly bonded with his tiny charges, saying "You know, you develop relationships with every single animal that you foster, and having five of them is just five relationships." The little kittens, who've all been named after famous artists, are 6 weeks old now, which means Peter has to start getting ready to say goodbye. But Peter says that knowing that the kittens have been adopted into loving forever families will make it all worth it. And these sweet kittens will grow up as happier and healthier cats because of their time with such a kind and loving foster dad. All across the country, ordinary people save lives every day by fostering animals who need love and care. Peter will never forget the animals who pass through his home, and the kittens will never forget the man who stepped in to be the mom they didn't have. To find out how you can save lives by becoming a foster family for shelter pets, contact your local Humane Society or rescue organization today.